Location: Santa Margherita Ligure, Italy. Notes: The castello cinquecentesco was a defensive building of Santa Margherita Ligure, in the Tigullio.The construction of the castle, located at the foot of the hill on which stands the famous Villa Durazzo-Centurion, dates back to 1550 thanks to the resolution of the Senate of the Republic of Genoa, who decided to erect a defensive manor from the frequent pirate raids. 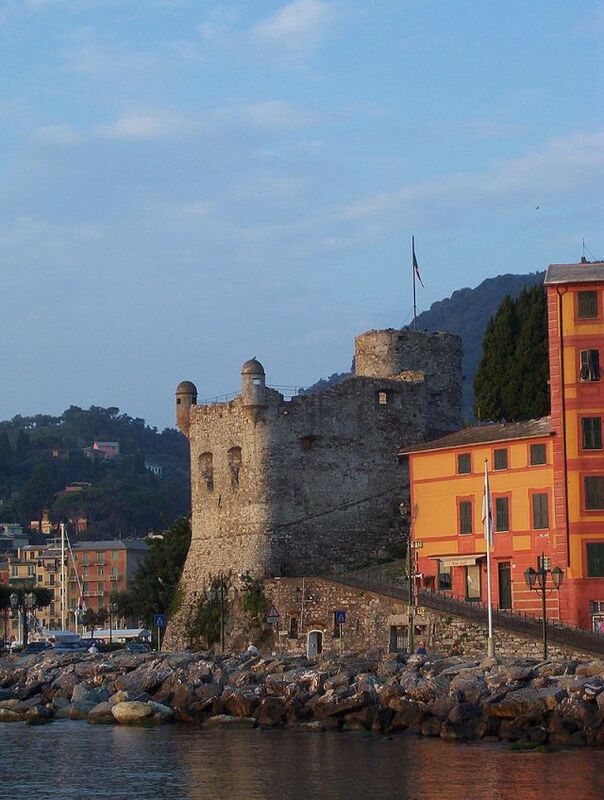 The design is the work of Antonio de Cárabo, the same as in 1551 will complete the Rapallo Castle. Work began in 1550 and ended in September of that year. It underwent several structural interventions and upgrades arms until the early seventeenth century; from the eighteenth century it lost its importance from the military point of view, thanks to the cease pirate invasions, and therefore only received some repair and maintenance work. In the nineteenth century it risked being demolished twice: first to achieve in that a new town hall (just in this century it became an independent municipality from Rapallo), the second to enlarge the adjacent Calata Vittorio Emanuele. At the end of the First World War the castle was restored and named in memory of the fallen of the Great War. Sito del Comune di Santa Margherita Ligure, comune.santa-margherita-ligure.ge.it.